Got a solo gig at the local coffee shop? Need to make a quick public announcement? 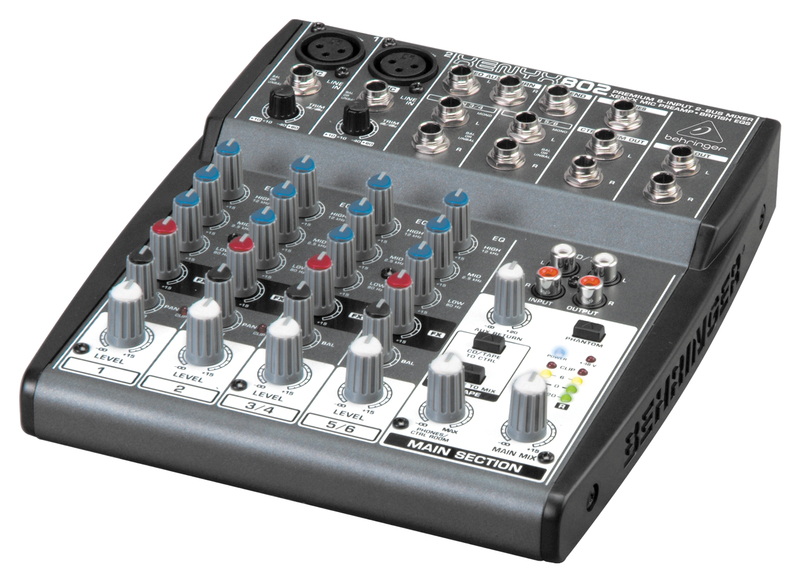 Simple sound calls for the simply superb XENYX 802, the BEHRINGER mixer with everything you need to give an intimate setting incredible sound. The XENYX 802 mixer’s 8 Inputs (2 mic, 2 stereo + Aux Returns) allow you to effortlessly achieve premium- quality sound, thanks to the 2 studio- grade, phantom-powered XENYX Mic Preamps and ultra-musical “British” channel EQ.